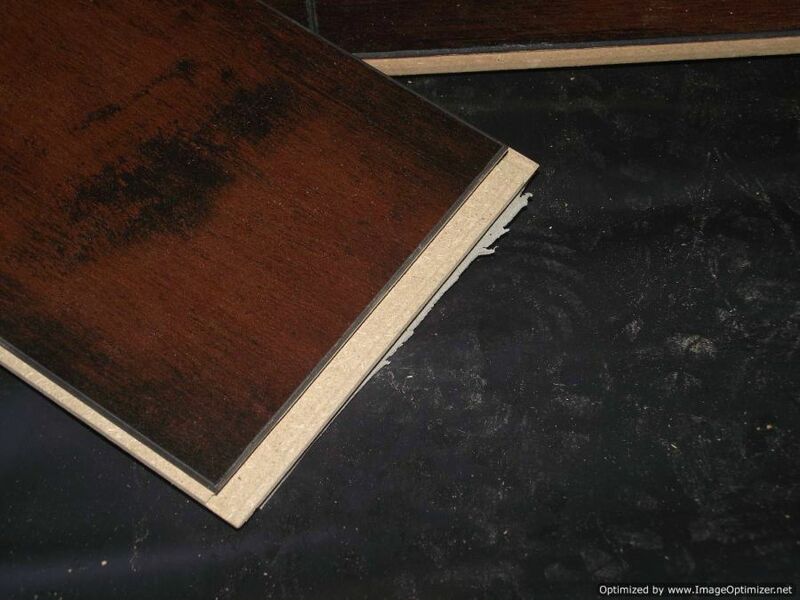 This Lamton Virginia walnut review is based on me installing it in a living room and hallway. It is 12mm thick and has a 2mm attached padding. The surface has an AC3 wear rating AC5 being the best. 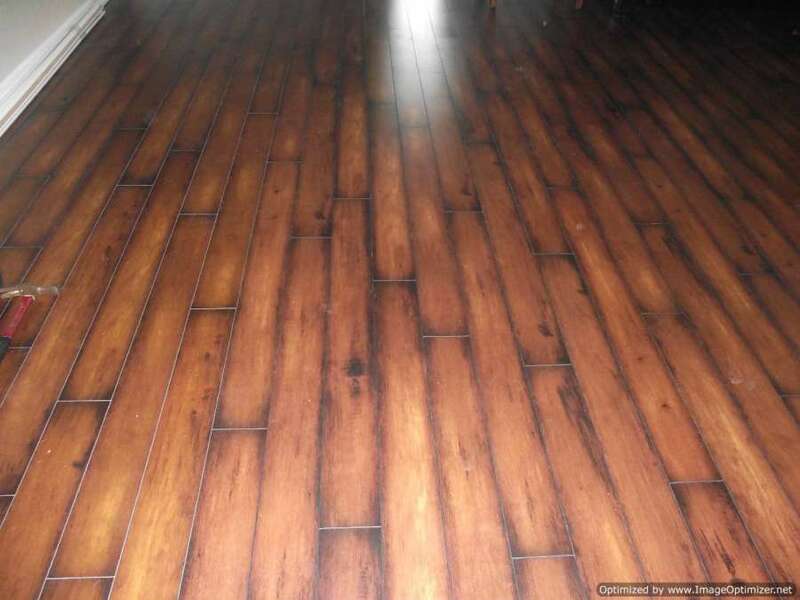 Its called narrow board laminate. Each plank measures about 5 inches wide by 48 inches in length. 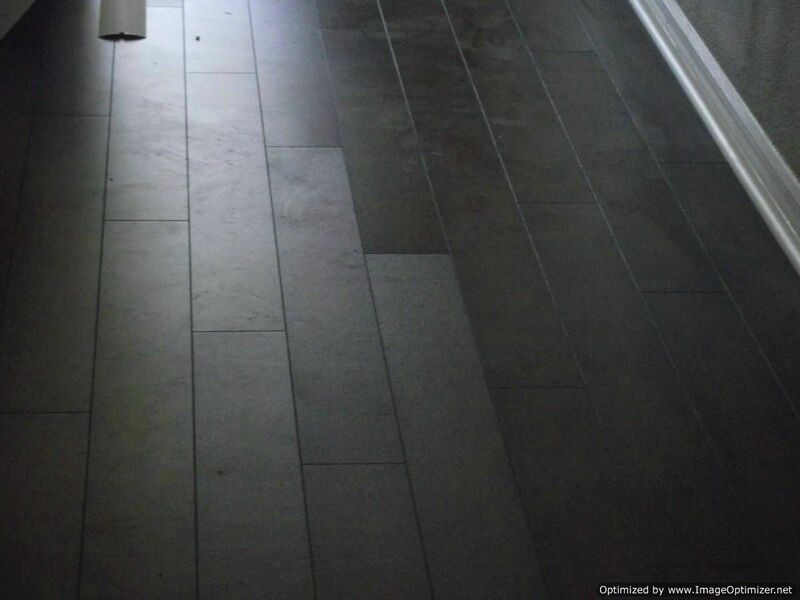 This laminate is around 2.00 a square foot online, as of Oct. 2013. that doesn't include shipping. The locking system is a drop and lock. This means you connect the long side first and drop the end down on top of the connecting plank. 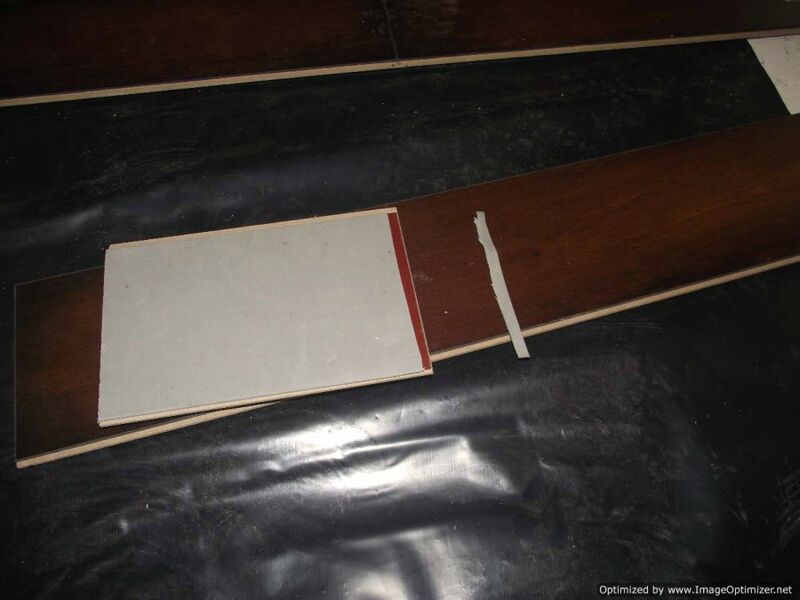 One of the problems I had was the attached padding was not cut off on a lot of the planks. 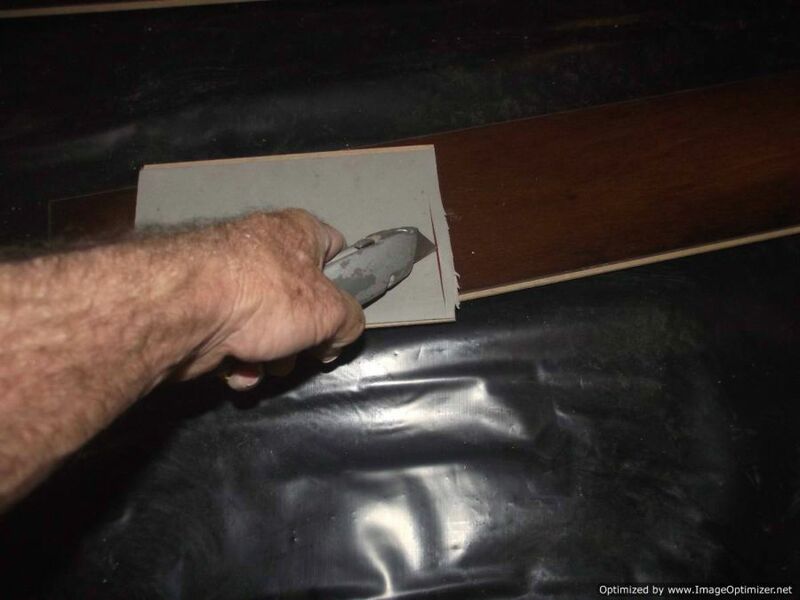 The padding was too long and when I would drop down the end joint it would not lock because of the excess padding. I had to spend extra time checking each plank before I could install it. It was a simple fix, I just had to cut the excess padding off on the bottom. It just ads time to the installation. The other issue with this Lamtom laminate was the finish itself. There were two different looks to the surface. One was dull the other looked kind of shiny. This was a big issue with my client as the light from the sliding glass door showed the difference. I couldn't tell by holding the laminate in my hands if it was shiny or dull. The only way to tell was to open a box install a few planks and then step back to see. If they were the wrong ones I would have to take those up and try a different box. It did take a lot longer to install. 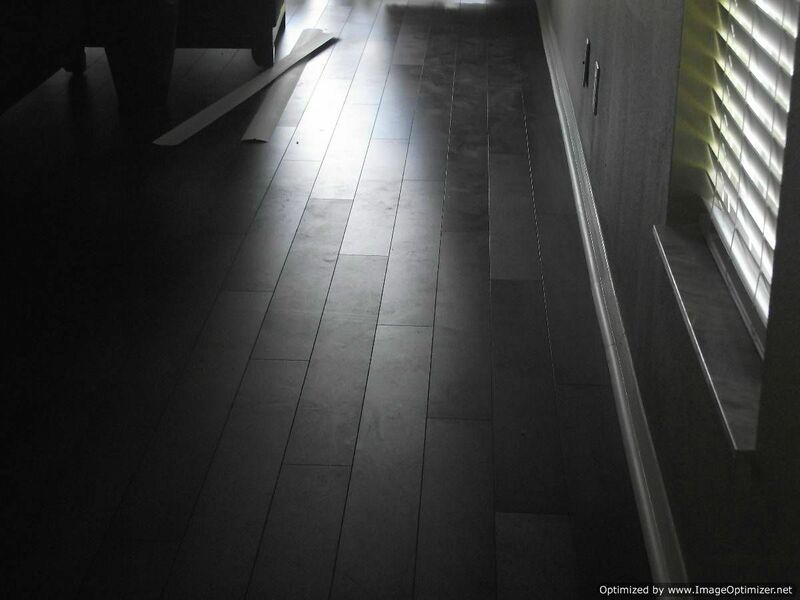 In these photos below the floor looks really dark because of the incoming light from the sliding glass doors. Looking at it from the opposite direction makes it look totally different. I guess the quality control guy wasn't paying attention when making this batch of laminate. It didn't tell anywhere on the box where it was made. The floor was pretty good once I got past all these issues. It locked together tight and has a tough surface. I don't think I would order it and take the chance of going through this hassle.